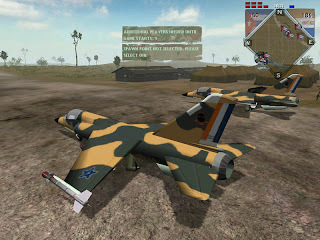 Bushwar is modification I made for Battefield Vietnam. 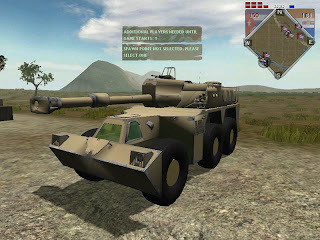 It adds a whole new theater to the game, including new teams, maps, weapons and vehicles. 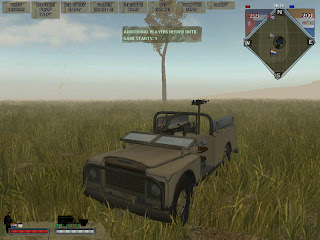 The mod is about the border conflict between the South African Defense Force and the Cuban Army in the 70's and 80's. It was a great learning experience working on the mod. I learnt to manage a team, build 3D models and texture them, edit script files, do research and set up websites. SADF: Olifant tank, Eland 90 light Tank, Casspir mine resistant vehicle, LandRover scout car, Ratel20, G6 Howitzer, AlouetteIII, Mirage F1CZ, AC47. Cuban Army: T34-85, T55, T62, T72, PT76 amphibious tank, BTR60 troop transporter, UAZ scout car, BM21 rocket launching vehicle, M46 Artillery, Mig-17, MiG-21, MiG-23, Ural repair ammo and transport trucks. SADF: Automatic R1 assault rifle, semi-automatic R1 assault rifle, R1 rifle with scope, R4 assault rifle, M60 machine gun, Vector SS77 machine gun, flame thrower, RPG7 rocket launcher, 81mm mortar, the TM62 anti-tank mine and other weapons from Battlefield Vietnam. Cuban Army: AK47 assault rifle, AKMS rifle, RPG7 rocket launcher, 24mm mortar and other weapons from Battlefield Vietnam. 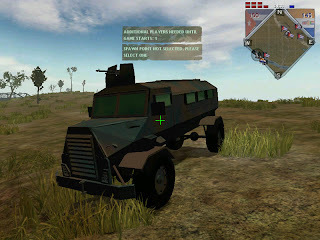 BUSHWAR maps: Benguela Airport, Omarunga, Ambush, Cuito Cuanavale, Killing Field, Operation Super, The great Tank Battle, The Road to Ebo, Bush Patrol, Battle for the Cunzumba Bridge and the Kraal. All Battlefield Vietnam maps are supported. The BM21, Mi-8 and Mig-17 can fire salvos of rockets instead of just one at a time. The deviation of the AK47, AK47MS and RPD has been modified. The RPD and M60 are deployed, so it looks realistic when firing while lying. New objects including destroyable trees and fuel barrels. Many new textures for Soldiers, Flags and other objects. Background movie telling the BUSHWAR story.